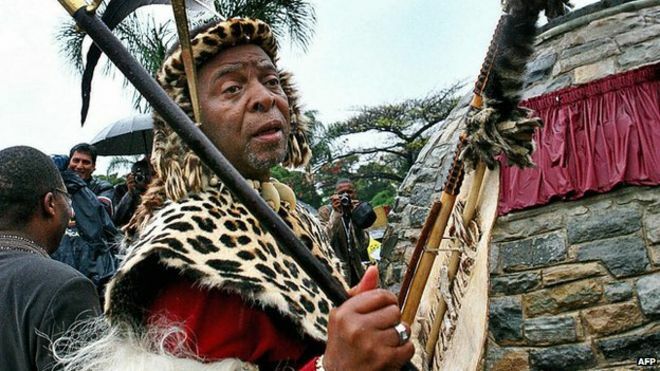 Zulu King Goodwill Zwelithini is set to urge restraint after a wave of violence against migrants in South Africa. He has been accused of fuelling the attacks which have killed at least seven people after saying foreigners should "go back to their countries". More than 300 people have been arrested in the unrest. Thousands are expected to pack into a stadium in the eastern city of Durban to hear King Zwelithini's address. He insists his comments were distorted. Among the latest arrests were three men detained in connection with the murder of a Mozambican national in Alexandra, a township in Johannesburg. 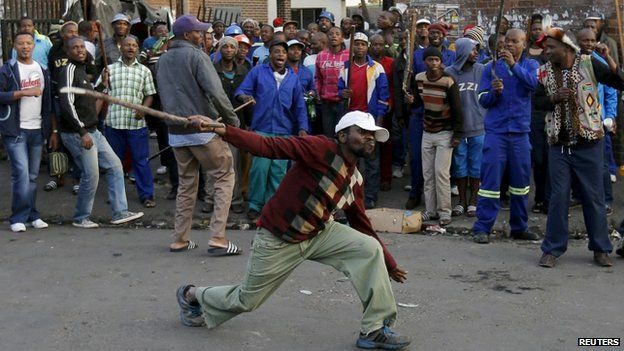 Photographs showed Emmanuel Sithole being stabbed to death in broad daylight. South African President Jacob Zuma has said the wave of attacks "go against everything we believe in". Armed groups have attacked and looted shops run by African immigrants. With the unemployment rate at 24%, many South Africans accuse foreign nationals of taking jobs from locals. Thousands of foreigners have fled their homes to shelter in makeshift camps, with neighbouring countries evacuating citizens. 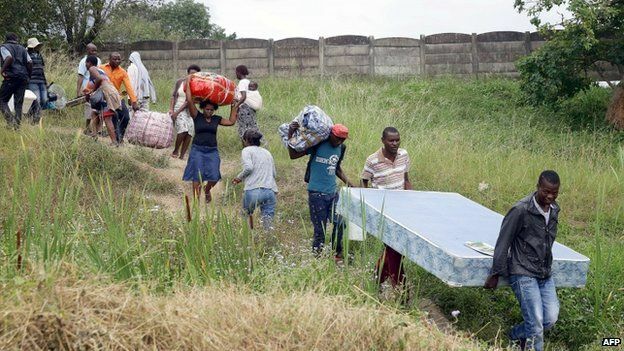 The Zimbabwean government sent buses to Durban to pick up 400 of their citizens on Sunday night. Official data suggests there are about two million foreign nationals in South Africa, but some estimates put the number much higher.